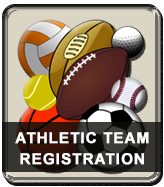 In order to participate in sports, including practices and tryouts, all students must be registered for the sport and have a current physical examination on file. To ensure clearance for participation, registration should be completed and a physical on file no later than 2 school days prior to the first day of practice/tryouts. With this system you can also register for multiple sports in one registration form. Note to all families: Completing the registration process at least 2 school days prior to the first day of practice/tryouts is all that is required. Physicals must be uploaded as part of the online registration. Physicals are valid for one year (365 days) from the date of the last exam. There is now a mandated CHSAA athlete registration. Information regarding this registration will be shared by the Athletic Director at the Mandatory Athletic Night Meeting which takes place at the beginning of every sports season.